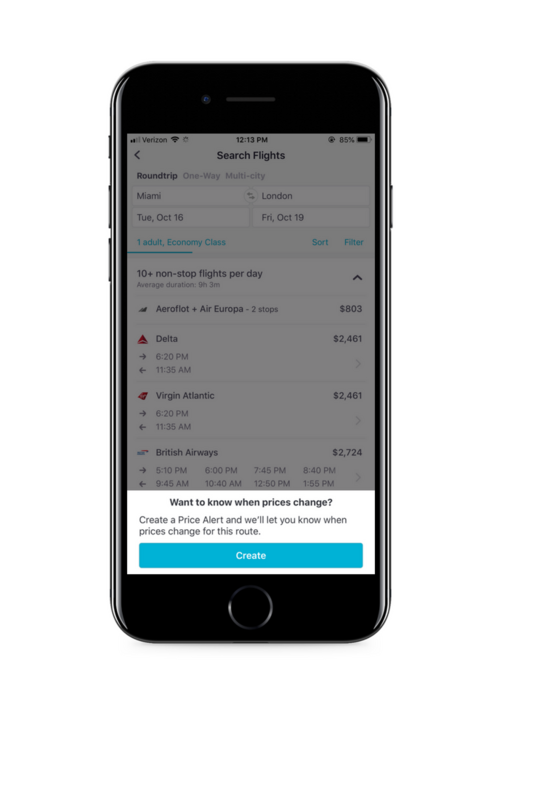 Say hello to Skyscanner's 3-in-1 app for iOS and Android. We've made it even easier to compare flight prices, find hotel deals or hire a car by combining all three into one smart app. So, whether you want to book a work trip or a family vacation, find out how to get the new app and how it's changing the way you travel! How can I get the latest app? If you’ve not got it already, then head to Google Play or the iTunes store to download the Skyscanner app for free – you’ll automatically get the latest version. 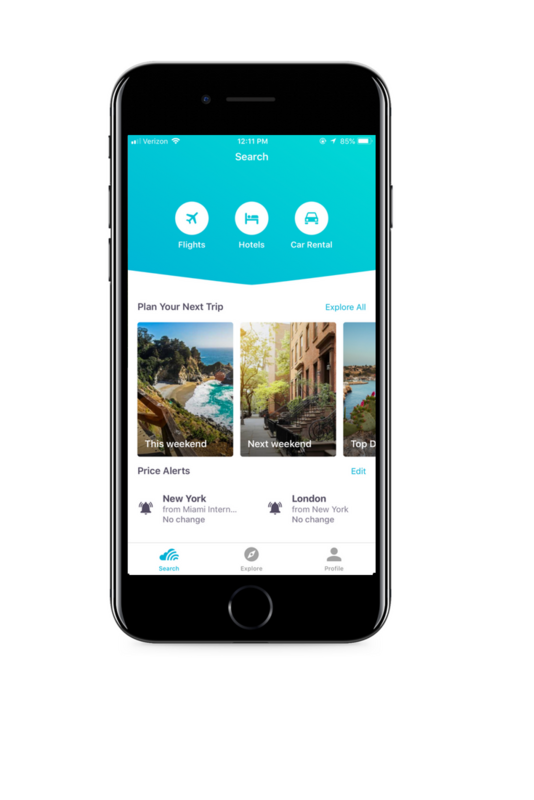 If you’re a loyal Skyscanner app fan already (we love you) then you’ll be upgraded to the 3-in-1 version once the app is updated on your phone. Note: You don’t have to accept the latest version of the app, you can choose not to update it, but just imagine how much fun you could have if you did? Not to mention, the money or the time you’d save? So we’d urge you to join in the fun asap! Why have you decided to unify the three apps? The long answer: we want to move towards providing a full trip planning service, so the first step was to have one application with all of the elements, flights, hotels and car hire, like on the website. Downloading three separate apps requires much more effort and limits our trip planning capabilities. 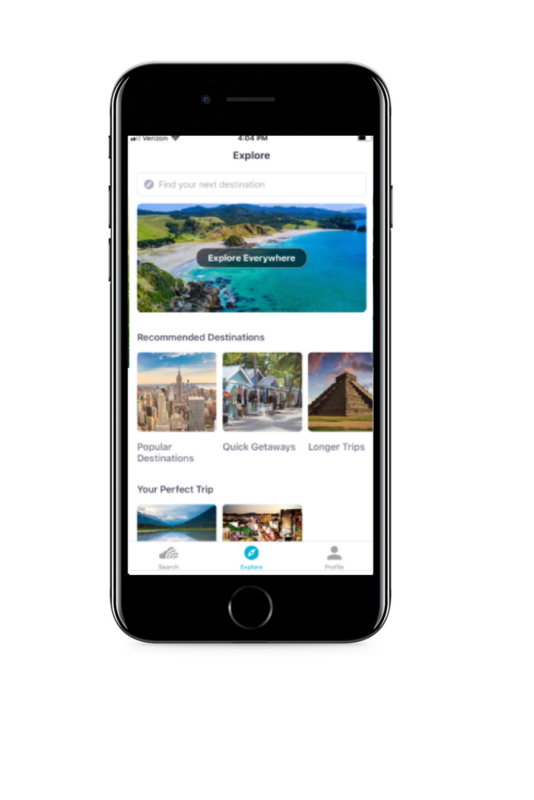 The short answer: we wanted to make it easier for you to find everything you need to plan a trip on your mobile or tablet. What will happen to the old car rental and hotels apps? For now nothing. We’ll monitor downloads and continue to support these for a period of time. You might get a notification asking if you want to upgrade to the 3-in-1 app. You won’t see any of the apps new features in these individual apps – sorry, but we’re off making this updated version totally awesome! 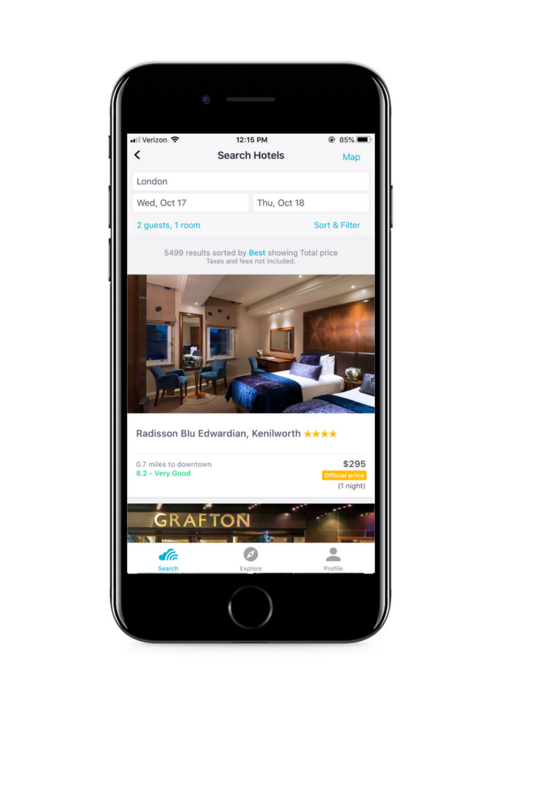 But don’t fret, hotels and car hire apps will still be available and you can still use them, but why not make your life easier (and save your phone memory) by searching for all three in the one place? You know it makes sense! Has Everywhere search been removed from the app? No. Don’t worry, we know just how much you love the Everywhere search, so we wouldn’t take it away from you! Simply click on ‘Explore Top Deals’ in the app and below the weekend getaways options you’ll find our Everywhere function. What’s this Recent Searches feature? If you’re logged in and search for a flight, car rental or a hotel on any platform, be it your phone, tablet or desktop, the results will be saved to your ‘Recent Searches’. Then, when you’re ready to carry on searching or booking, you can log in on a different device and pick up where you left off, by viewing your recent searches – clever huh?! Is login via Facebook or email mandatory? No, there’s no change to this. However, logging into the app will give you a more personalized experience and enable you to plan your travel seamlessly across multiple devices (see above). How is the app going to save me money? Seasonal deals: Whether it’s for summer fun in the sun, going home for Thanksgiving or heading out for a Memorial Day weekend to remember, you’ll find all the best options for your chosen airport. How is using the app going to save me time? Find the best flight prices by browsing across a whole month! If you’re flexible on when you fly, use Skyscanner’s ‘whole month’ search tool to find the cheapest day to travel to your chosen destination. Who said you have to have a good excuse to travel aside from just wanting to get away? This is the spot to find the top flight deals happening from some of the most popular airports in the United States.